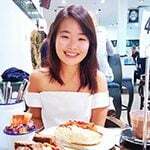 Rachel has travelled from Singapore to study Psychology at the University of Otago. She is often seen running around campus juggling various commitments. 1st July 2015 was the day I realised “Oh my I am a PhD Candidate” and it was also when I realised I have a loooooong road ahead of me. Were these withdrawal symptoms from my fun and carefree undergraduate days? Perhaps. Doing postgrad is a whole different ball game, and you have to be prepared for it. I guess everyone has their different reasons for doing a PhD. For me, I always wanted to do a PhD because I love Psychology and wanted that option to teach/research at a tertiary level. However, having the right reasons to do a PhD is one thing, having the grades to get into a PhD programme is another, and finally, WHERE you are going to do a PhD is one of the major decisions you need to make. For me, I went back to my Alma Mater. I know my parents are sometimes confused at my decision because I really wanted to join my brother and his wife in America. But I guess I was not done with Otago yet, and it took me 6 months of self-reflection to realise Otago would be the best place for me (and maybe you if you so decide). You will be pleasantly surprised to know that Otago is a place where you feel super welcome. 95% of the people I have met here have always been super friendly and polite to me – even strangers! I have had the best undergraduate years meeting people from different walks of life. I have forged life-long friendships with the most inspirational and driven people here who took this little Singaporean girl under their wing. And because of this, I have felt so safe on campus to do my own thing and be myself. It is common to have strangers offer help when you trip over your own two feet, students giving you directions when you’re lost, and Campus Watch walking you home when it is late. Most importantly, my lecturers and supervisors have always been kind and approachable to me. All of them have always encouraged my pursuit of learning, and I feel comfortable being able to joke with them and ask them any questions regarding my thesis. Professor O’Hare and Dr Alsop have been the greatest help ever and I’m sure supervisors like them aren’t hard to find at Otago. You can ask my fellow PhD friends! As a PhD student, you are going to be living and breathing research for the next 3 years or so. Thus, it is important to pick a school that can provide the necessary resources that you are interested in. I can’t speak for other degrees, but in terms of Psychology, their teaching and research is first-class. Since first year labs, I have always been really impressed by how well experiments were conducted. Now that I am embarking on my self-created experiments, I realise how lucky I am to have a wealth of resources at my disposal. Technological problems? No sweat, I shall just stroll down to the Tech Office at Goddard Laboratories and ask for help. You are unsure about some random theory? Let’s just email some lecturer who can answer it. Do you need participants? Well, why not just use the Psychology Students database. Need more equipment? Let me ask my contacts around the university. Beauty is in the eye of the beholder, but wow, Dunedin is universally pleasing to the eye. It is sometimes easy to take this place for granted, but you will especially cherish it when you are feeling stressed. Whenever I am stressed, all I need is my iPod and a walk around campus. In a few steps, you are somewhat transported from the confining walls of your office and right smack into an open and welcoming space. It is somewhat calming to be surrounded by greenery, to see a river flowing right in the heart of campus, and sitting under the gaze of the iconic Clocktower. These little breaks are the moments you treasure in your PhD journey. If you’re looking to cut down on transport costs, then Dunedin is the city for you! While Dunedin may not have the hustle and bustle of bigger cities like Auckland and Wellington, you will learn to appreciate how close everything is. After visiting the bigger NZ cities, I am grateful that most of my money can be used on power and food in Dunedin, and I do not really need to factor in transport costs. That said, everything is close to me because I live right on campus. But never fear, if you live further out, there are still some shops nearby. Perhaps the greatest reason of all: Dunedin is like a second home to me. I know that if I ever needed help, I have my relatives right close by. Additionally, I know I can count on the University of Otago, the International Office, the Chaplain, and the Psychology department to have my back. Otago also has a great Student Support Centre and a Postgrad Personal Performance Coach to get you through the dark days of a PhD. Most importantly, my friends are like my second family and are so welcoming and understanding. They know what it’s like to do a PhD, and they are always willing to listen to me vent and give me constructive feedback. I have also witnessed many other students at Otago stepping up to take care of other International kids. At the end of the day, Dunedin may be small and boring at times, but we boast a super tight-knit community you will rarely see anywhere else. I am aware that you may have different reasons but these are mine, and to me it was a no-brainer… Because what more could I want? So wherever you are, and if you’re thinking of doing a PhD, good luck and use your brains to make a well-informed decision. This is just the beginning, and what a journey it will be! Previous articleTime to Go Hiking!